On this New Year’s Sunday, I thought I’d share with you my favorite Christmas present. Isn’t she lovely? Now every time I drink a bottle of fancy beer it will be like I said a little prayer. I’m going to have to start drinking more fancy beer. 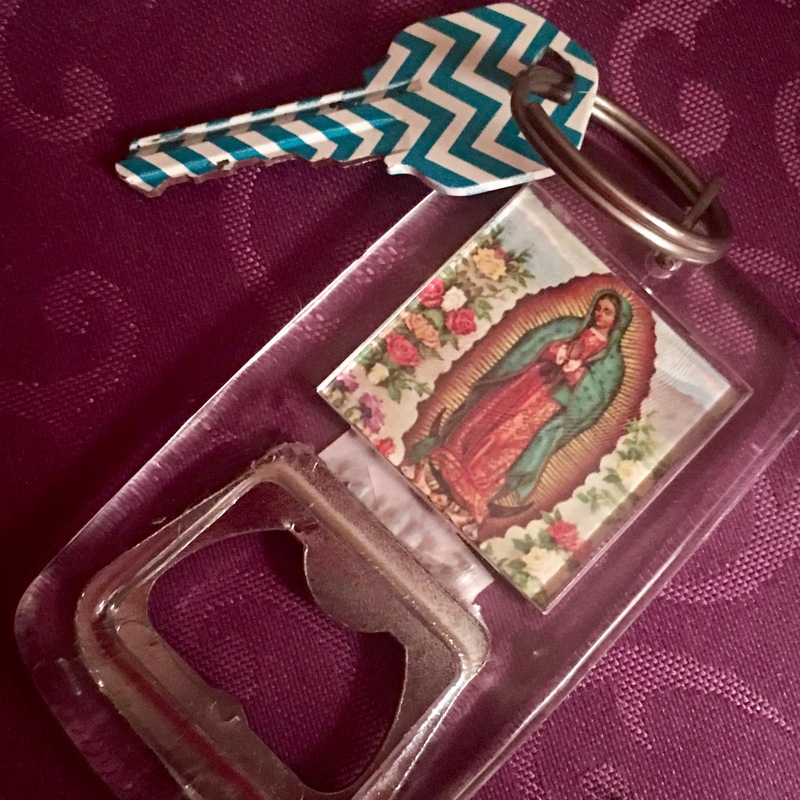 Me and Our Lady of Guadalupe Bottle Opener Keychain wish you a Happy New Year and a 2017 even tastier than fancy beer and even more spiritually fulfiling than an open bottle prayer. This entry was posted in Holidays and tagged Catholic, Catholicism, Faith, Mystic, Mysticism, New Year, New Year 2017, New Year's Day, Our Lady of Guadalupe, Prayer, Religion, Spiritual, Spirituality. Bookmark the permalink.